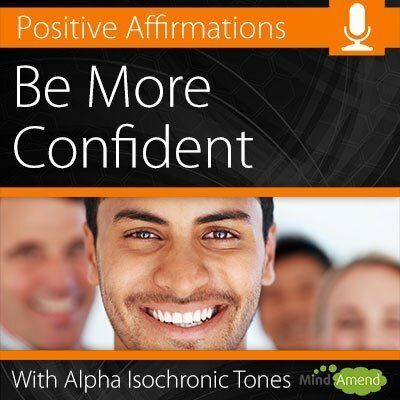 Become more positive and optimistic with the ‘Be More Positive' affirmations session in ‘Alpha'. Would you like to be one of those people who always seem to be able to bounce back from negative situations? Would you like to be one of those people who always seem to be able to ‘bounce back', from major setbacks and disappointments? I'm sure you know someone like that. Whatever the situation, no matter how negative or insurmountable the situation appears, they somehow manage to come up with a positive angle and find a good way to deal with it. Maybe you think we are either born optimistic or pessimistic and it's just the luck of the draw. However naturally positive you are now, it can be improved upon. If you're someone who tends to see the negative side to things, you can change. All it takes is a different perspective and repetitive behaviour that keeps re-enforcing this positive attitude. The more you try and think positively, the more you will begin to see a positive outlook and a positive twist on most negative situations. If you keep looking at life in this way, things start to get easier. I'm not going to promise you that bad stuff or disappointments are going to stop happening. That's all part of life that we all have to deal with. The key part is not what happens, but how you deal with it. 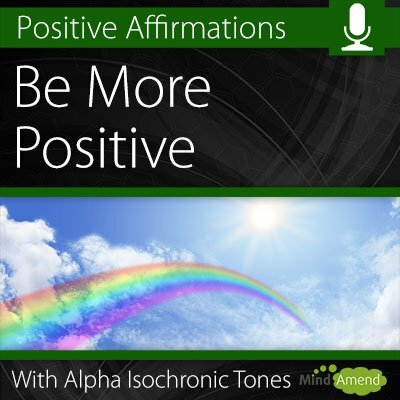 Each track contains 7 affirmations which are repeated through to the end. In addition to the spoken words, the track also contains isochronic tones beating at the 8.4Hz frequency in Alpha. The tones lower your brainwave frequency into a more relaxed state, making it easier for the affirmations to connect with the subconscious mind. 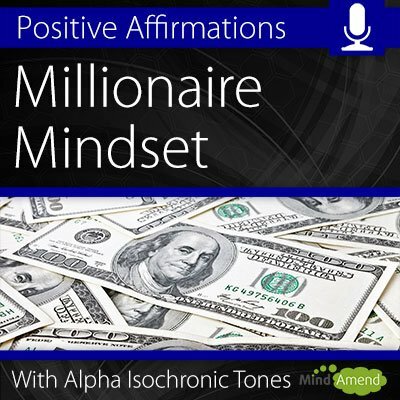 The debate goes on as to which method works best for affirmations, first person or second person? First person is when the words are spoken in the form of ‘I am', whereas the second person is spoken in the form of ‘You are' etc. Arguably the most powerful method is to combine using both types of affirmation, for maximum effect. If you decide to only opt for one version, I'd recommend the second person ‘You are' tracks, as I believe affirmations being spoken in someone else's voice are more powerful that way. 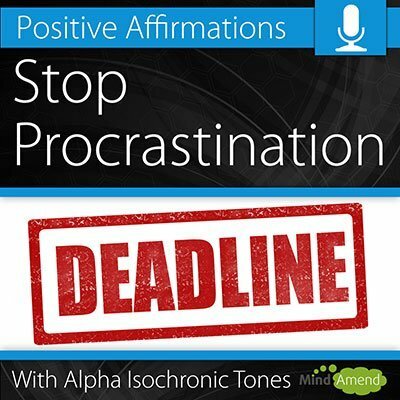 #Short Term Benefit – Listen to them anytime you want to improve your mood or attitude.As an example, you could use them before a social or work event where you might be expecting a negative situation or outcome, and you want to get yourself in the right frame of mind to handle any negativity and respond in a positive manner. #Long Term Benefit – A bad habit or negative attitude is usually something that builds up and grows gradually over a period of time, and the same approach needs to be applied to correct it.If you are trying to improve your overall positivity and attitude, consider setting time aside every day to listen to the track. It will take time to correct your natural way of thinking and reacting.For a longer-term benefit, you should really be looking at listening every day for at least 30 days, and also back this up with positive self-thoughts throughout the day and during difficult situations. The Be More Positive track comes in 7 different versions. The ‘Just Tones' track doesn't have any background music, just the isochronic tones and the affirmations. All the other versions use the exact same isochronic tones session and affirmations, but with an alternative background track for more variety. Note: The speakers on laptops and portable devices like tablets and mobiles, often don't produce a strong bass sound. This can result in them not producing enough bass to hear the isochronic tones effectively. So if that's what you are going to listen with, for better sound quality and results I recommend plugging in some external speakers, or preferably headphones. Note 2: You will not be able to download the mp3 music files ‘directly' to iPhones or iPads because of limitations with those devices. For info on how to get the MP3 file onto iPhones and iPads, please click here. Although NOT essential, headphones are recommended for this session, as it makes it easier to hear the affirmations and block out external distraction. When the affirmations begin, say them to yourself silently in your head. When you first start using the tracks, it may be helpful to have the affirmations written down on a piece of paper in front of you. You will find though that as the affirmations are repeated throughout the track, you will soon pick them up and remember them quite quickly.